The bond between my children and their grandparents is the sweetest thing, it’s a love that runs deep and I love seeing them together. Plus it takes me back to my childhood and things they did with me. 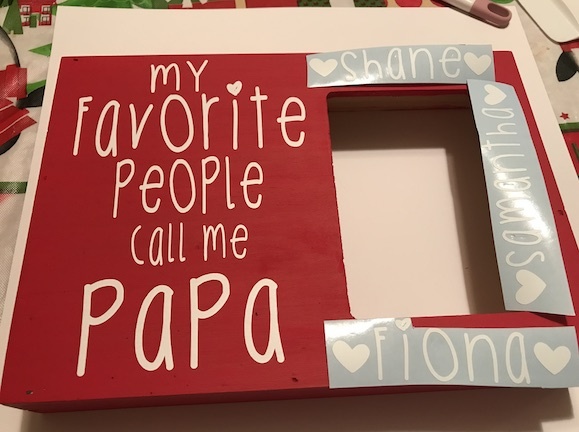 I wanted to make a Papa Picture Frame to capture one of those sweet moments. My favorite one (I think Papa’s too) is taking the kids for a ride in the wagon pulled by the tractor, I loved this as a little girl and the joy on the kids faces is adorable. 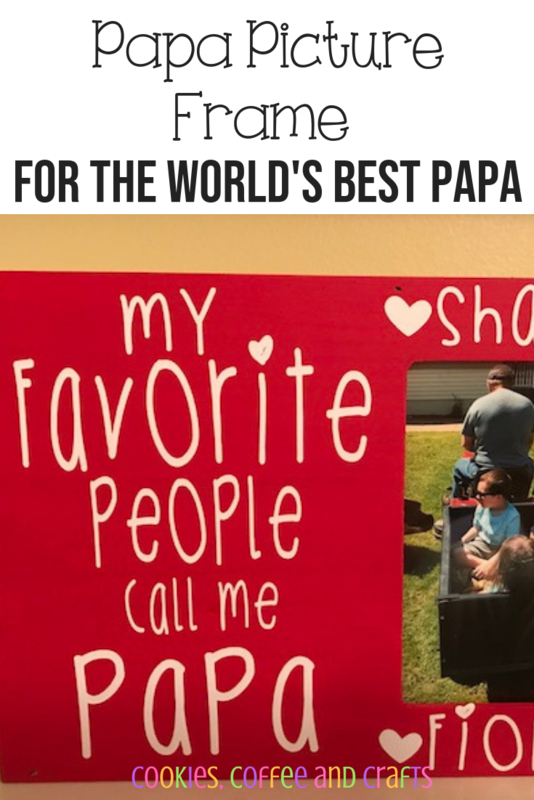 Any papa will love getting a Papa Picture Frame! 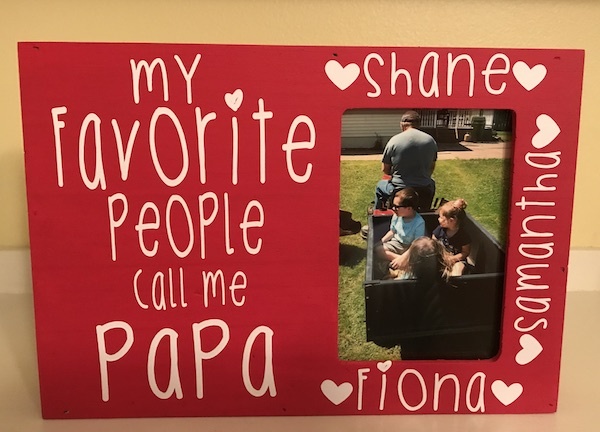 This gift is perfect for anytime of the year, I made this as a Christmas gift, but it’s perfect for a birthday, father’s day, or grandparents day. This gift can also be customized for grandma’s to. Hobby Lobby has become my favorite craft store and I was so excited to find this box frame. My dad loves red tractors (he’s an International Harvester guy) so I had to paint his frame red to match his red tractor. I used True Red Anita’s Acrylic Paint and it took about 2 coats. Remember when you paint to remove the glass from the frame. 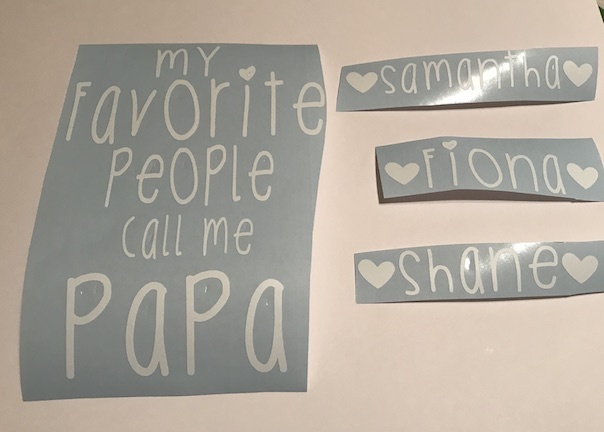 Then I spent probably a couple hours in Cricut Design Space™creating this design. I get lost in fonts and banners and I couldn’t decide and kept changing it. It’s a rabbit hole for me. I decided on using the GingerCookies Font because it looks like kid writing (because all of the grandchildren are under 5) and it’s an adorable font. 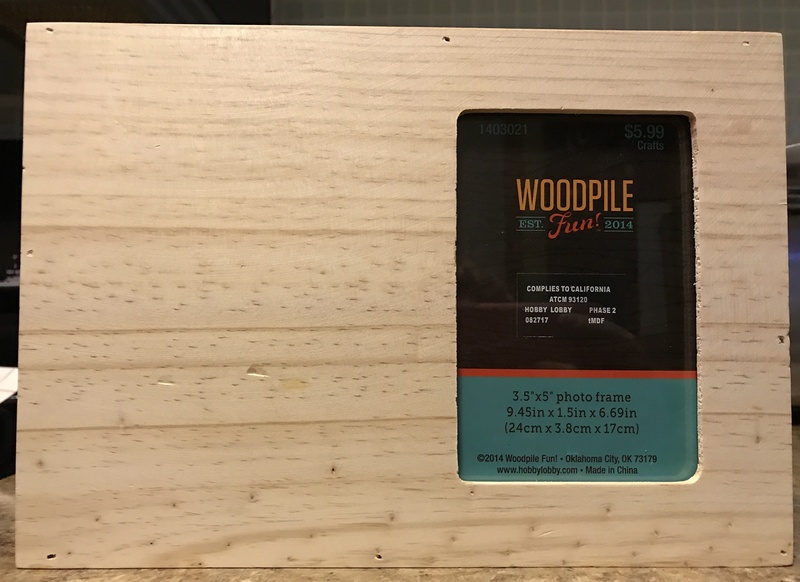 Transfer all the words to the photo frame. I let my paint dry for a day before I add the vinyl just to make sure it’s dry and ready. I added all of the grandchildren’s names around the picture frame. In Design Space I attached the hearts to each child’s name. I can’t wait to see my dads face when he opens this. He is going to love it!